The basis of the new brand positioning is the principle of “fair pricing with high content levels”. This implies the perception of the brand as a convenient digital ecosystem, where every viewer on any device can find legal and relevant content at reasonable price. This is by no means dumping - this is exactly the price that the user is really able and ready to pay. We fully realized the need for global strategic changes. First, in the conditions of a rapidly increasing number of players, it was important for us to be “tightly”entrenched in a certain niche, bringing our key advantages to the viewer. Secondly, the growth of consumer demand required to focus even more on improving the quality of service, expanding the content library and building more adequate pricing compared to premium-competitors. What was needed was not just external changes, but an even greater focus on the viewer and his needs. Rebranding is only a reflection of these deep-seated processes. The position chosen by tvzavr: to be completely self-sufficient. Do not “look back”at the actions of competitors and global players (like Netflix or Hulu) when developing marketing strategies and additional services - but, of course, keep abreast. Maintain high quality content and convenience of service, while tightly controlling the pricing policy: do not dump, but do not uprate the price tag for the viewer. tvzavr is a brand that already possessed all the necessary attributes to stand out in the market. In fact we need to highlight them in a correct way through the tone of communications and take into account some of the nuances of interaction with different audiences. For example, ensuring the availability of content for the masses, do not forget about the “middle class”accustomed to good service and premium segment advertisers. The vector for such a diverse audience demanded reformatting monetization schemes. 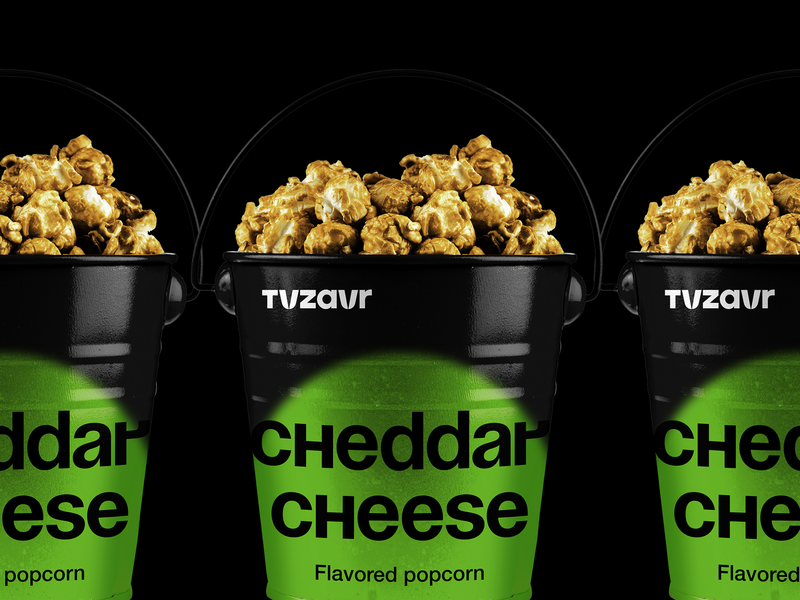 Unlike most market players, tvzavr decided to develop both the advertising and subscription models. Usability of the updated service, accessibility from any devices, first-class actual content, reasonable price and focus on product innovations - for the user, these are sufficient motives to pay one-time payment of the selected movie or to purchase a permanent subscription. And the platform is very attractive for almost any advertiser, from premium brands to mass-market. The balance was maintained in visual solutions. In the previous tvzavr design, several different fonts, colors, gradients were used at once, there was no general photo-style and unity in communication. Such a motley set of techniques used could not live together and preserve the visual integrity. In addition, the existing style required an update: the service was launched already in 2009, and since then the design has never been upgraded. It was necessary to significantly refresh the brand image, while maintaining the visibility of the service and supporting the associative series, which were already established in the user's mind. It was a laborious task to create a simple visual language that would work well in a complex and already existing system. Moreover, we wanted to reflect the essence of the service in the most unique way. We were looking for a characteristic graphic technique that would have been good enough for an updated positioning. The main idea of ​​the design was a purely movie symbol - the spotlight beam. It highlights the most important and the best, leaving in the shadow everything useless –annoying pop-ups, poor-quality or completely pirated content. The main design technique is easily reproducible –slightly blurred patches of light from this very spotlight in corporate colors. It is convenient for the client to work with such kind of graphics and use it both on flat media, in a digital environment, in statics and in dynamics. 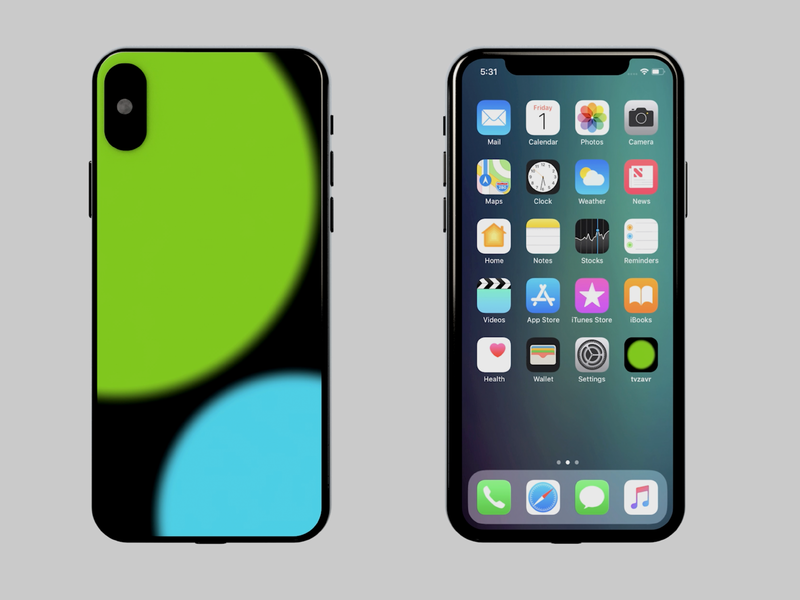 The properties of the spotlight (or, more precisely, even the two spotlights: blue and green) are revealed by the interaction of spots with each other, with other design elements, during the formation of a pattern from them. The animation of the spot gives a particularly vivid effect. It seems like it is managed by a person, who strives to revive static communication and drawing attention to it. Logo has undergone significant changes. We added modern graphics with tough geometry to emphasize the character and brand authenticity. Soyuz Grotesk font supports the logo: the font is unique in its own way, although it is built on the basis of the familiar Helvetica. The font plays a dominant role on the most part of carriers. The memorable design of the Soyuz Grotesk letters uniquely distinguishes tvzavr communication from the messages of competitors. From the very beginning, the online cinema had its own original mascot - Zavrik. He performed the main communication function of the service, at the same time being also a kind of guide for the user. 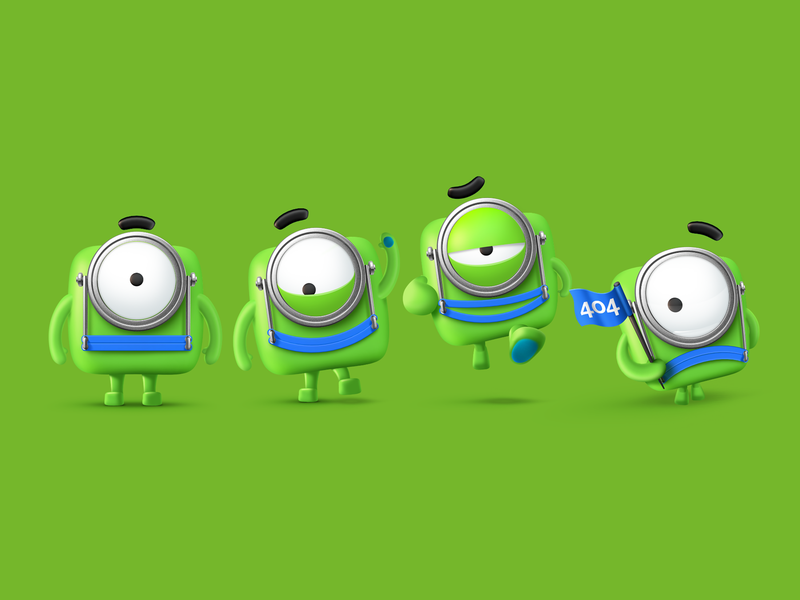 Designers have updated the appearance of the character - have changed the color, shape, size and semantic content. 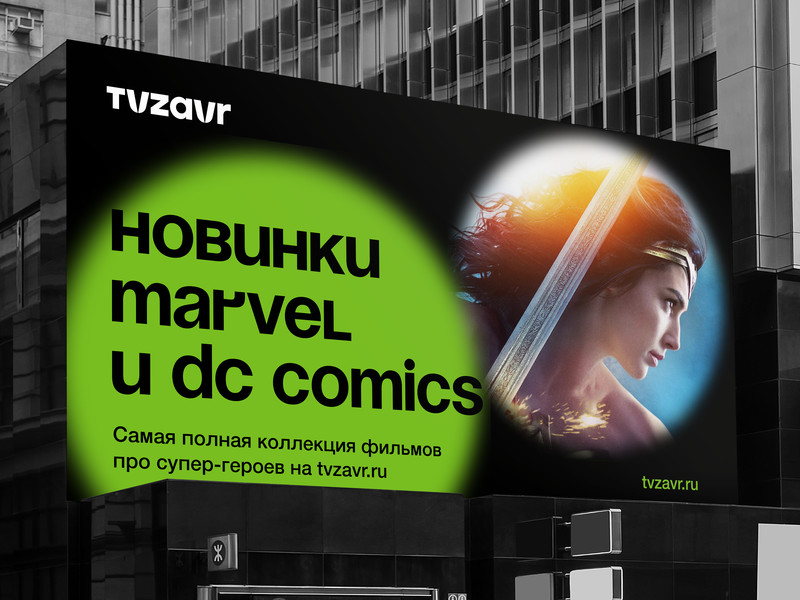 If earlier Zavrik was exclusively an eye eager to watch movies, now it has turned into an eye-searchlight –the guide of the viewer to the world of cinema. However, the main role of the character remained communicational. Zavrik is the main association with the service, it is used in online cinema events, children's, industry and lifestyle events, is an important element of tvzavr merchandise. 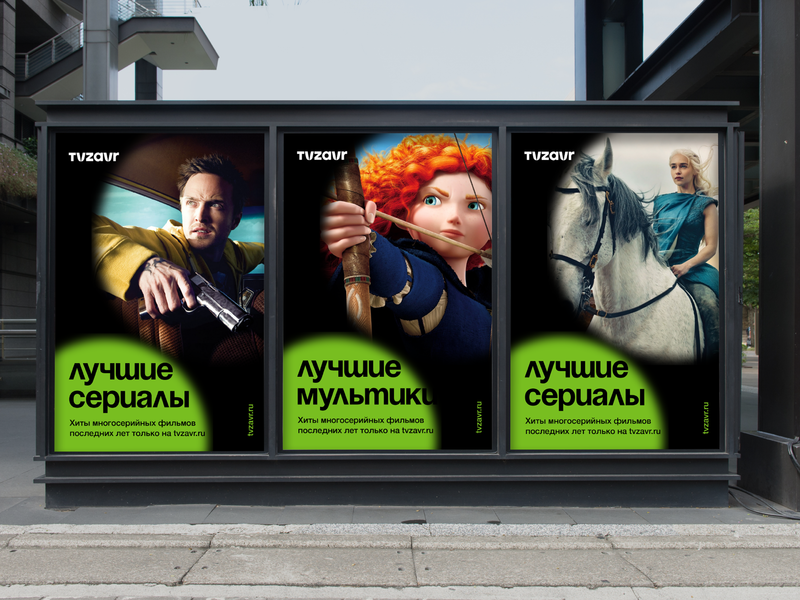 New identity and positioning are already actively used by the online cinema. In particular, all tvzavr mobile applications, the smart TV platform, the website of the service and all kinds of presentation and POS materials have already changed their appearance. On the one hand, our goal was to make product changes fundamental, on the other - not to lose the brand essence. New style and strategy let us emphasize our main advantages, add brevity, depth and emotions to the brand, as well as make the platform more user friendly. We want to bring the Russaisn and CIS audience to the legal quality content as close as possible. I am sure that the transformations will help us to go further. They will strengthen our connections with the audience and will help us to become a cinema that they trust.